De-romanticize Bonnie and Clyde, add Che's radical philosophizing, toss in the verite docudrama of Battle of Algiers, and then, for good measure, mix it all with the prison ward bleakness of Steve McQueen's Hunger, and you have The Baader Meinhof Complex, a terrific socio-political thriller that reenacts the rise and fall of the Red Army Faction, an extreme left wing "urban guerilla" group that terrorized West Germany in the 1970s. 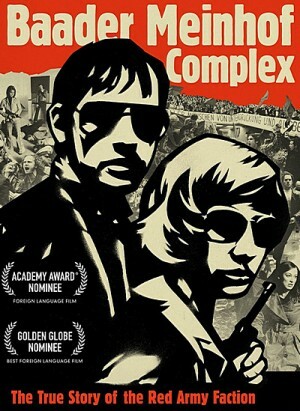 This is an gripping but dispassionate account of the violent left-wing militant group led by Andreas Baader (Moritz Bleibtreu), Ulrike Meinhof (Martina Gedeck) and Gudrun Ensslin (Johanna Wokalek). Painstakingly accurate, down to the number of bullets fired in the gang’s raids (it’s based on the authoritative book by Stefan Aust), the movie perfectly captures the mood of the era – and provides ample food for thought for today’s War on Terror.